Calling all Team Give Members! We need YOU to sponsor the Team Give Philanthropy Fair to raise money for charity! If the fair is new to you we know you will have some questions. The most important information is included below. 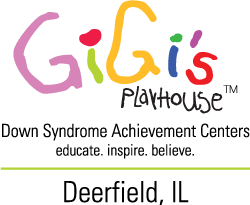 This year we will raise money and awareness for GIGI’s Playhouse! GiGi’s Playhouse mission is to change the way the world views Down syndrome and to send a global message of acceptance for all. They change lives through consistent delivery of free educational, therapeutic-based and career development programs for individuals with Down syndrome, their families and the community, through a replicable playhouse model. What is the Philanthropy Fair? Team Give members get to sell items to raise money for charity. Members that don’t want to sell items can still participate by running the charity booth to raise awareness and pass out information on the selected charity. 3:30 - 4:30pm in the MAIN GYM. Do I need to register and how do I do that? Yes. Your parent or guardian must register you by APRIL 15th if you want to participate in the Fair. An email was sent to your parent / guardian with the REGISTRATION LINK. What if my parent can’t be there? You need an adult present with you to participate in the Fair. If your parent / guardian cannot come, consider registering with a friend. Can I sell items with some friends? Groups are encouraged but should be limited to a handful (preferably no more than 4) of students. Make sure ONE parent registers the entire group and that at least ONE parent will be there with you. Be creative! Here are some examples: bracelets, crafts, baked goods, small collectibles or small toys, and carnival games. How much should I charge for the items and can people pay with credit cards? $1 - $5. Items should not cost more than $5. Only cash can be used to pay for items; credit cards are not accepted. Do I get to keep any of the money? No. ALL the money collected will go to the selected charity. What is the “charity booth”? One or two tables in the GYM will be set up with information about the selected charity. Team Give will make sure that visitors get a chance to learn about the charity we are raising money for and why we picked that charity. Can I leave my booth to do my own shopping at other booths? Yes. However, a parent and a student should be present at the booth at all times. Who is invited to attend the Fair? All of the Wilmot community (students, staff, family, friends)! How will we get the word out about our Fair? Our usual methods. Posters, announcements, website, and flyers. We will create our marketing materials at our April meeting. Team Give will learn about the Fair at their APRIL meeting.